The Rose Center for Earth and Space at The American Museum of Natural History and Planetarium on West 81st Street. Than it's The Great Lawn in Central Park a/k/a my backyard and than there is at the heart of Central Park "The Lake" created out of a large swamp, the 22-acre Lake provids boating and fishing in the summer. Lets not forget the Heckscher Ballfields just south of the lake. “How many of us wish that, even for a little while, we could return to those innocent days of childhood? A time when the world was full of possibilities and every day was an adventure..."
Ever since 1986 when I received a phone call from the New York's Village Halloween Parade, Jeanne Fleming, Director asking if I would like to be their head Captain of the SKELETONS that leads the parade up 6th Avenue every 31st day of October and every year I say - YES! 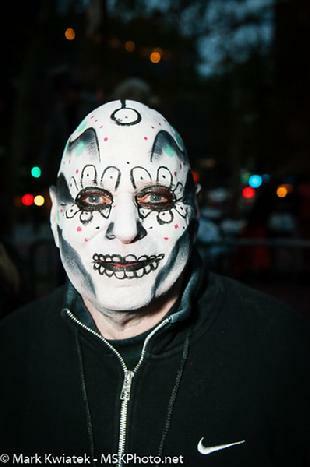 I head up the front of the parade as director or the Giant skeletons and creepy crawlers and with the ghosts and ghouls I take to the streets of New York City in the Greenwich Village annual Halloween Parade at 7pm Sharp every 31st day of October. 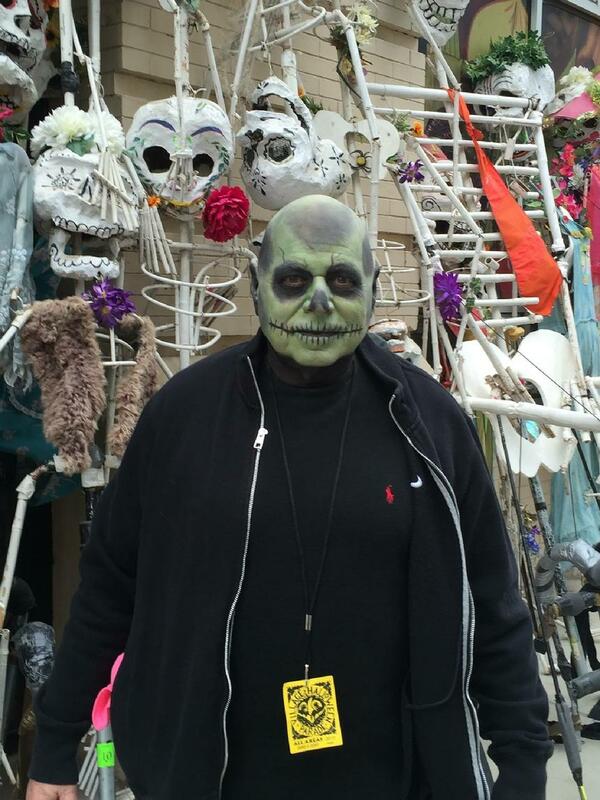 Puppeteer and mask maker Ralph Lee began the festivities for his family and friends in 1967 as a house-to-house walk in his Greenwich Village neighborhood. That is when I was living on West 4th Street in the Village and due remember it so well, I belive there was only 20 of us. The Party Parade grew, and after ceding control to the Theater for the New City in its third year, which increased the length of the route and participation do to filling the streets, it reorganized as a not-for-profit and reclaimed the reins a year later in 1973. Today, the Parade remains true to its Village roots while continuing to draw record crowds and has been named by Festivals International as "The Best Event in the World" on every 31st day of October.